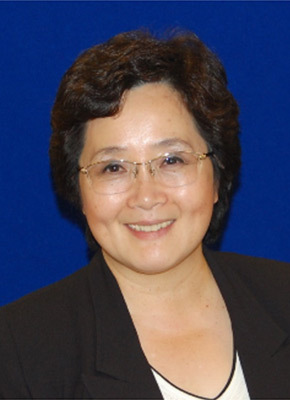 May Su is a Quest Team Member Emeritus and is currently Chief Marketing Officer for Kateeva. She also operates part time as the Vice President of Strategic Marketing for Owens Design, Inc.
May has over thirty years of experience in the semiconductor industry, having held a variety of executive positions including VP of Strategic Marketing at Brooks Automation, VP/GM at Crossing Automation and Aviza Technology, Vice President of Corporate Marketing at KLA-Tencor, President of US and European Operations at Nova Instruments, and Product General Manager at Lam Research. May started her career as an equipment design engineer, gradually increasing her responsibilities in managing projects and direct supervision of personnel and teams. During the 1990's, as Taiwan and Korea started to gain importance as semiconductor device fabrication regions, she leveraged her bi-lingual and bi-cultural skills to transition into sales and marketing roles. As the semiconductor industry matured, May turned her attention toward strategic growth initiatives, helping companies move into adjacent and new market segments. Ms. Su holds a BSME from Cornell University, MSME from UC Berkeley, and an MBA from Santa Clara University.